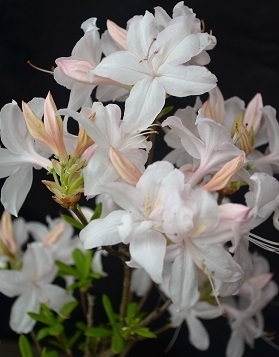 Comments: Certainly has to rank as one of the hardiest of all the deciduous azaleas. The buds are hardy to an incredible -55°F!! Oh yes, the flowers...they open a dusky white with a single or double band of yellow running up the center petal.